These Baked Chicken Chimichangas are a baked version of classic TexMex fare…and they’re really delicious! Consider making a batch of these for your next party! Laura and I love to travel. I mean who doesn’t love getting away from the routine for a bit to explore a new place? We’re not much of the “lay on the beach for vacation” kinda people, though. We often come back from vacations needing a staycation just to relax. Both of us are foodies, and I’m also a history buff…so our vacation agenda is usually packed with historical sites and restaurants. And I wouldn’t have it any other way! But no matter where we go on vacation, our last stop is always Chipotle. I kid you not. As we’re flying home, we always scout out a Chipotle in whatever airport we happen to be in. 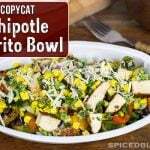 (The Chipotle in Washington Dulles airport is one of our faves. Yes, we have favorites.) I mean how good does a burrito bowl sound after sitting on an airplane for 8 hours? (Sorry, airplane food, it’s not you. It’s me. Actually, wait. It really is you.) It’s hard to beat a good burrito…unless you deep-fry that bad boy and cover it in cheese! That’s exactly what a chimichanga is. A deep-fried burrito covered in cheese. One of the best chimichangas I’ve ever eaten came from a hole in the wall Mexican place in Durham, NC. Aren’t hole-in-the-wall restaurants the best?? I used to go there on weekends during college, and I still remember the place well. In fact, Laura and I got married in Durham, and we totally ate at that Mexican place twice during the week leading up to the festivities. Twice! While chimichangas might be delicious, they aren’t exactly the most healthy thing on the menu. In fact, they very well could be the least healthy thing on the menu. (That is, unless someone figures out how to fry cheesecake…in which case, please have that person call me ASAP!) The other night, I fixed that problem and created these Baked Chicken Chimichangas. 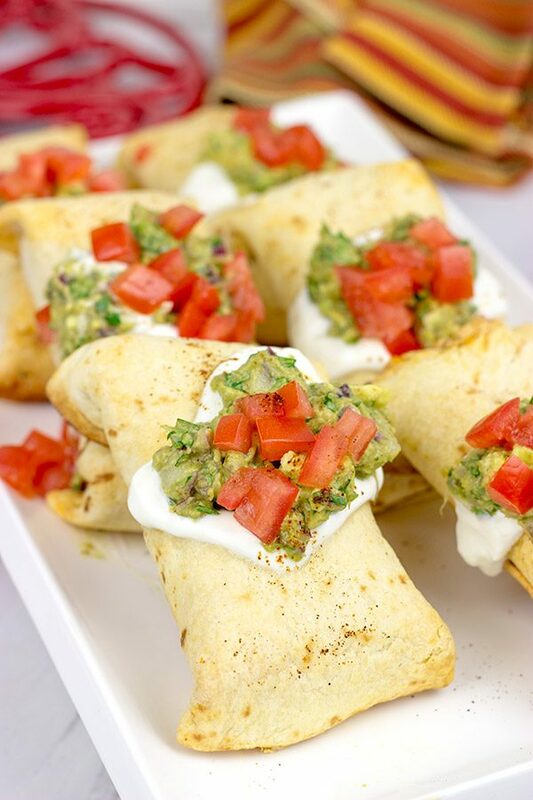 And holy TexMex food, Batman…these Baked Chicken Chimichangas are delicious! And for a fun twist, I topped these Baked Chicken Chimichangas with a bit of sour cream, homemade guac and diced tomatoes. 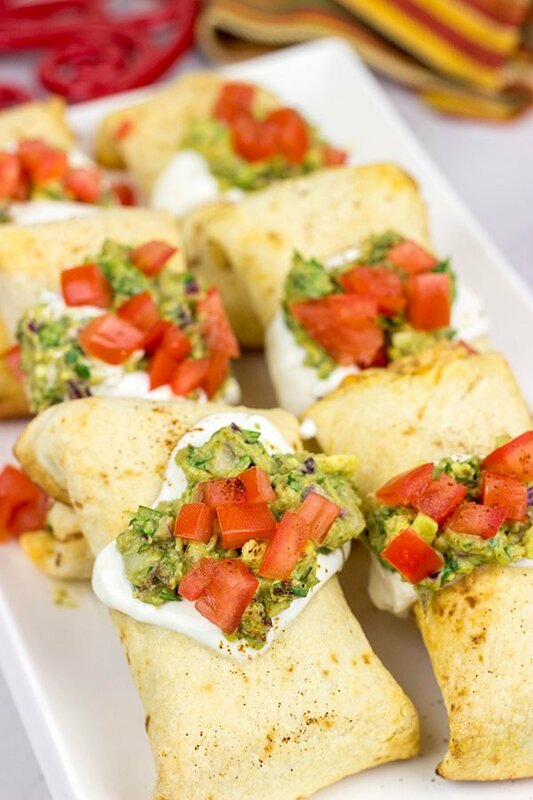 We love to entertain, and Laura commented that these chimichangas would actually be a great party food. Just make the chimichangas themselves, but put all of the toppings in separate bowls. Then folks could go along and customize their chimichangas with whatever toppings they like. 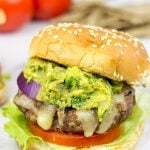 You could even get creative and do a couple types of guacamole for fun mix-and-match toppings. Ok, now I’m just getting ahead of myself. Actually, I think I’m just trying to figure out how I can make another batch of these Baked Chicken Chimichangas…they really are that good! Cheers, friends! Using a large skillet, add olive oil and place over medium heat. 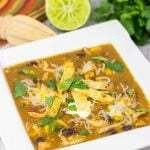 Once hot, add onion and jalapeno; cook, stirring occasionally, for 3-4 minutes, or until onion has softened. Add garlic and continue cooking for 1-2 more minutes. Add taco seasoning and cilantro; stir and cook for 1-2 more minutes. Remove mixture from heat and transfer into a large mixing bowl. Add shredded chicken, sour cream, cream cheese, pepperjack cheese and cheddar cheese; stir until well combined. Spoon ¼ cup of this filling down the center of each tortilla. Fold sides in and then roll tortilla up; place seam-side down on prepared baking pan. Repeat with remaining tortillas. Brush tops of tortillas with the melted butter. Bake at 400°F for 20-22 minutes, or until tops are golden brown. 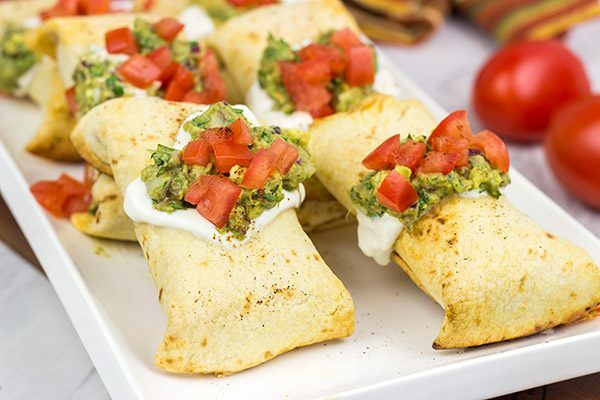 Remove from oven and top each chimichanga with a spoonful of guacamole, sour cream and several diced tomatoes. I like making smaller chimichangas using the fajita-sized tortillas, but you can make larger versions using standard-sized tortillas. It’s amazing that you have a favorite restaurant at an airport! You must travel a lot and it must be really good! But like you said, maybe it’s because you’ve been traveling all day and need food! Chimichangas are on of my go-to items to order when we go out to Mexican food. I love your version of baked instead of fried! Much healthier! Haha! We really don’t travel that much, Kathy. I know it sounds like we do, but I feel like it’s only 1-2 times a year. But for some reason, that darned Chipotle in the DC airport gets me every time. I mean it is tasty, but I also blame jetlag and airplane food! 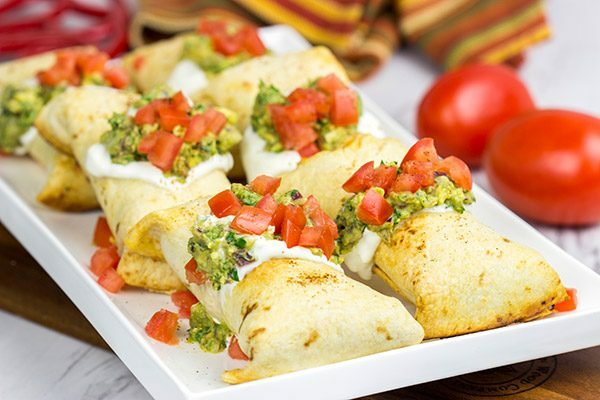 🙂 Chimichangas are one of my go-to items on Mexican menus, too…but this baked version? SO good!! Give it a shot sometime. Thanks so much, and I hope your week is off to a great start! Not too much longer til summer break now! Mexican food is my very favorite! And you’re so right about the hole-in-the-wall restaurants. My favorite Mexican food ever is from a teeny little restaurant in my hometown and I crave their enchiladas almost daily. SO GOOD! 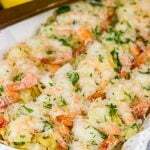 I love that these are baked because that means I can have mine with even more cheese :). PS, if Paula Deen can deep fry butter then deep frying cheesecake can’t be too complicated! I really enjoy Mexican food too. I also like going to hole-in-the-restaurants, they usually have the best food. 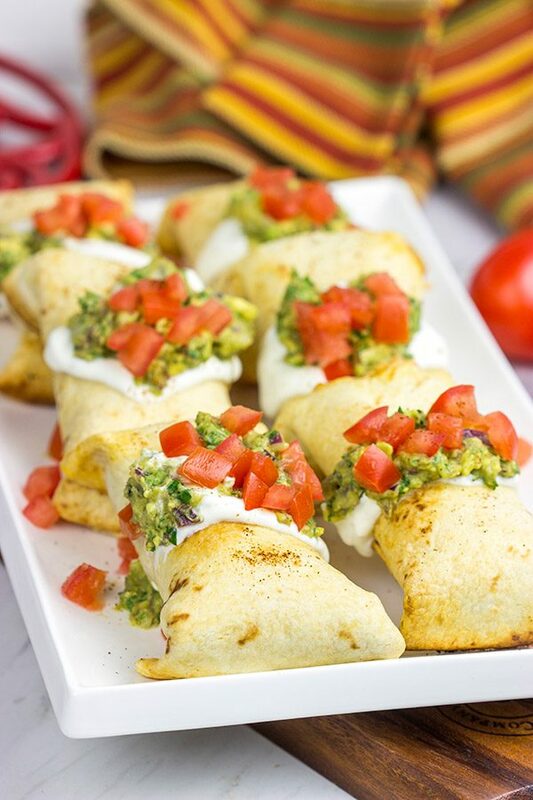 Love these baked chicken chimichangas! I’m right there with ya on the hole-in-the-wall restaurants! In fact, a couple of buddies and I were out at a curling tournament recently, and we saw what looked like it could’ve been a delicious hole-in-the-wall Mexican place. But it also could’ve been terrible. That’s the thing about hole-in-the-wall places…they’re either amazing or terrible. Haha! We opted to go for burgers instead. 🙂 But these baked chimichangas are quite tasty for sure. Thanks, Dawn! We are not “lay on the beach for vacation” folks either. It’s so much better to explore the places around. Besides, you can still get your skin cancer while walking – so why just lay down and wait? :) I cannot say I know the Mexican cuisine well (We extremely rarely eat Mexican food. Maybe once or twice a year). But this dish looks and sounds delicious (And more importantly, not so heavy as other foods tend to be). Well, except tons of cheese but who counts cheese, right? I just love saying ‘chimichangas’!! Weird, right?? Lol! Seriously though, these sound delicious and love the idea of having a little station set up so people can customize their own. Plus, baked means they’re kinda healthy, right? 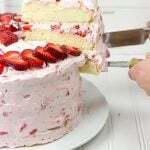 Another delicious one, my friend! You’re not weird at all, Dawn! I totally walked around the other day saying ‘chimichanga’ all day. It’s just one of those fun words to say! These baked chimichangas are SO good. Laura and I ate ’em up for dinner a few nights ago, but I’m already trying to figure out when I can make them again. 🙂 Thanks so much, my friend! I love a good chimichanga, but the closest I’ve ever gotten at home was baking my burritos. Why didn’t I think of buttering them? Genius! I love a good hole-in-the-wall, too! It’s always worth getting advice on which are best! Thanks for the recipe, David! I have never actually eaten a chimichanga, needs to happen soon!! sounds really good! Oh, you totally need to try chimichangas sometime, Manali! They are so good. But as good as the actual fried version is, this baked version might be even better! 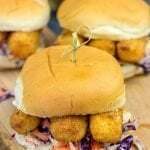 I used chicken here, but you could totally change up the fillings and make it vegetarian. Yum! Thanks so much, my friend! These are really lovely. All of my favorite ingredients, too!!! Drooling!! I LOVE baked chimichangas! Delicious, healthy-ish, hearty, and fun! I would mow down this recipe in a heartbeat!! We love to travel too – in fact I’m writing this comment from Buenos Aires! I haven’t thought about chimichangas in so long, but I absolutely love them. And baked for the win! Definitely going to try these! Buenos Aires!? What the heck are you doing down there, Marissa?? Wait. You’re on an awesome vacation! 🙂 I’ve never been to South America, but I’d love to visit someday. Have fun down there, my friend, and eats lots of delicious food, ok? I hear ya on chimichangas and avoiding fried foods. Whenever I’d order them from a restaurant, I just knew it was going to be a bad day in terms of calories…but a good day in terms of taste! 🙂 Baking the chimichangas totally works, and these are delicious. Like seriously delicious! Thanks, Mary! BTW, I used to always wonder about airline food being so bland – apparently, it’s us and not them … for reals! Apparently we lose our sense of smell and taste in those pressurized cabins and so things taste meh! On airlines like BA they seem to know this and seem to have some kinda curried thing at at least one meal with the flavors JAZZED up! That is a really great tradition. This recipe sounds awesome. Thank you. I love that you and Laura always scout of Chipolate restaurants when you go travelling! You guys sound like so much fun! Ive never heard of Chimichangas though (have I been living under a rock? )…Ive gotta be trying these with my next batch of chicken! So chimichangas are delicious, Lucie. Just think Mexican comfort food x 1000. 🙂 But they’re typically deep-fried, so they aren’t that good for the waistline. 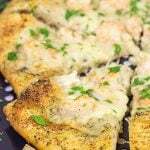 This baked version has all of the flavor without all of the extra calories. Definitely give these a shot…they’re delicious! Thanks so much, my friend!